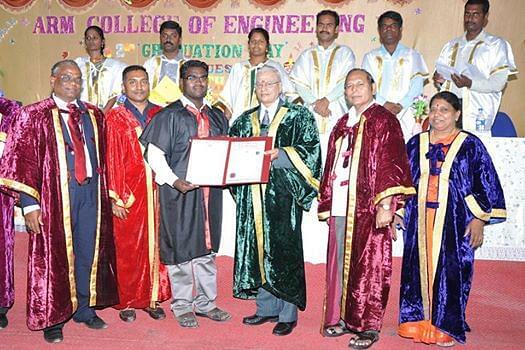 ARM College of Engineering & Technology, Kanchipuram, Tamil Nadu was established in the year 2008. 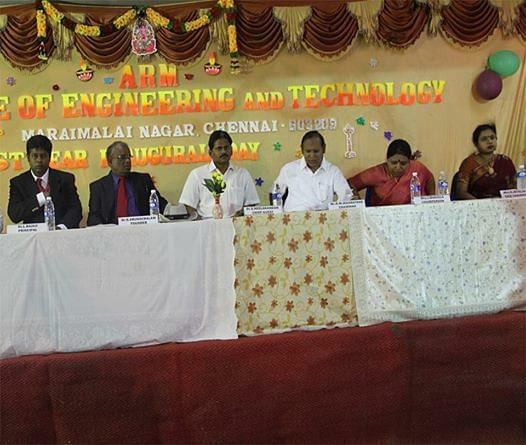 ARM College of Engineering and Technology is a premier educational institution which aims is to providing higher quality education on par with international standards. They persistently seek and adopt innovative methods to improve the quality of Engineering Studies on consistent basis. their emblem declares 'Learn Faultlessly'. They imbibe this sprit in their Student Engineers in pursuance of faultless fundamentals and are trained to match the best Engineering talent. The institution toils with a vision to prepare, inspire and silhouette students to identify and lend a hand to achieve their goal. The institute has devoted itself to the cause of acquaintance and empowerment with unique hub on scientific edification through a mission to proceed as ferment of youth and to impart edification even to the unreachable. Why to Join ARM College of Engineering & Technology? Prolific Infrastructure: The institution is constructed with the state of the art workshops, well equipped laboratories and excellent infrastructural facilities. Extramural Activities: The institution encourages the students to participate in various zonal activities and have come out with flying colors. Campus Corporate Connect Cell (4C): The 4C to shape a way to educate the students for their professional livelihood with the aid of industrial exposure. Admirable Faculty Team: The team consists of experienced and trained individuals. Focused Placement Preparation: 100% Placement record with top most company. The Placement Cell offers Career Development Program for the students to enter the corporate world.